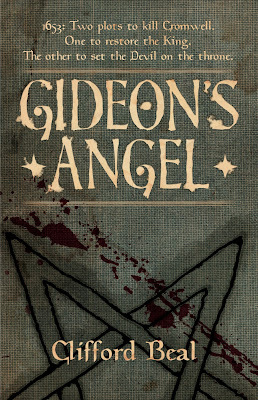 The Solaris Editors' Blog: Gideon's Angel: Cover Preview! 1653: Two plots to kill Cromwell. One to restore the King. The other to set the Devil on the throne. Sounds pretty cool? I hope so. I'm seriously looking forward to reading this, and if you aren't... well, I'm not saying it'll seriously impact our friendship or anything; we've been through times, right? You can't just undo that. We're tight. But... it might make things weird between us. Just for a bit. It might take time. You know how it is. 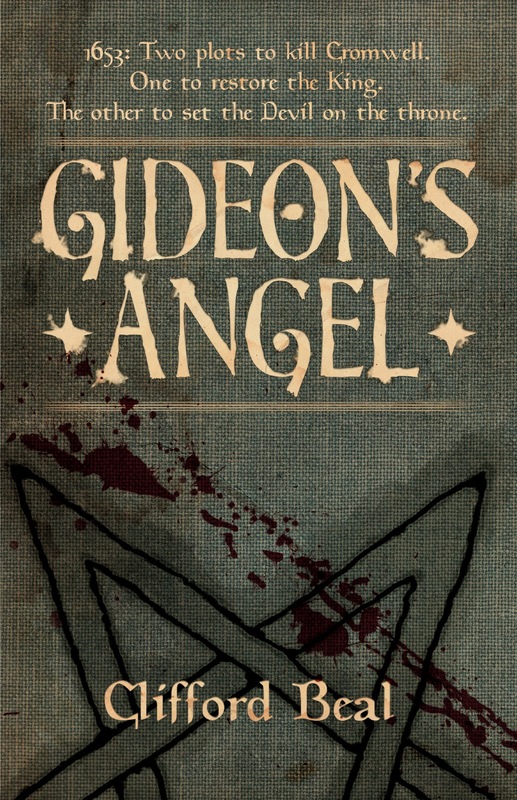 It's the tag-line to our new historical-fantasy novel, Clifford Beal's satanic gunpowder-and-magic yarn, Gideon's Angel. Y'know, like, roundheads, cavaliers, and worshippers of the Dark Lord. At any rate, we've chosen an amazing design-led cover for the UK, which has been created by our talented and dedicated new designer, Sam Howle. And now I'm showing you a sneak preview, because we're like that, you and I. This is the sort of thing we do for each other. It's a good cover. I like this cover. I think you'll like this cover. Welcome aboard again, Sam. And thank you! This is a good cover.